Occasionally, the great are reminded of their humanity. Over two decades ago, Ed Wagner (heir to the Wagner Meters family legacy) figured it was time to spruce up his home entrance way by installing hardwood flooring in whitewashed oak. So begins the precautionary tale of how even the Head Honcho has to deal with moisture content (MC). The realities he faced every day at the office invaded his home. The story should begin by observing the wisdom of Ed’s wood choice. Installing hardwood flooring in white oak is downright ingenious. Oregon White Oak (also called Garry Oak) is native to Ed’s neighborhood and could rise to almost 80 feet above Ed’s home. In fact, Garry Oak is the only native oak species in the whole region. Wow. Oak is one tough cookie, too (like Ed). White oak wood is even heavier than its red cousin and is known for its resistance to decay over time. White oak stands up well to machining, nailing and screwing. It is a dense hardwood with a “green” (natural) MC of 12 percent. This meant the choice was clear: use white oak for installed hardwood flooring. Why do people neglect some of those most important hardwood flooring installation requirements? “They are probably busy doing so many things that they just don’t take the time,” says Ed candidly. “And they can end up with a real problem.” Spoken like the son of a MC visionary. The Wagners’ whitewashed oak entrance way took forever to dry. In MC terms, that means the wood had not reached equilibrium moisture content (EMC): a balance between the MC of the wood and that of the ambient relative humidity in their home. Because wood will change dimension as it loses or gains moisture to (or from) its environment, an imbalance can lead to a variety of flooring problems. 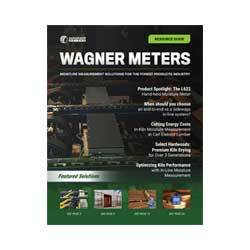 The irony is that during this era, Wagner Meters had developed a highly-successful line of wood moisture meter products for just this circumstance. 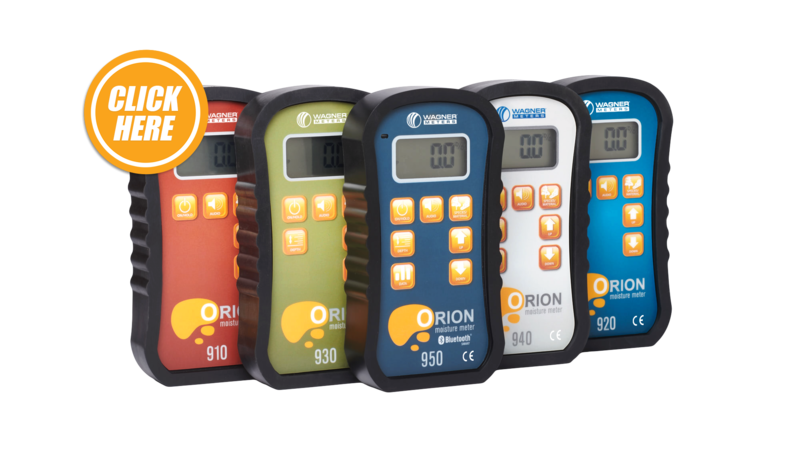 Consumers and builders alike run the wood moisture meter along the surface, and the pinless moisture measurement technology assesses MC up to three-quarters-inch depth. But while impressing their customers with the importance of MC testing, installing hardwood flooring at home morphed into a moisture content problem. When installing hardwood flooring, don’t judge the state of wood MC without a wood moisture meter assessment. The president of Wagner Meters did, and Ed Wagner’s whitewashed oak entrance developed hairline cracks between wood pieces. The moral of the story is: even Wagner Meters’ El Presidente, Ed Wagner, can be burned by wood MC. Those ever-present water vapors weren’t given enough time to evaporate, and they’ve made their presence a fixture in Ed’s memory of installing hardwood flooring. And now Ed’s message is clear – use a wood moisture meter, and installing hardwood flooring can make for happy memories.